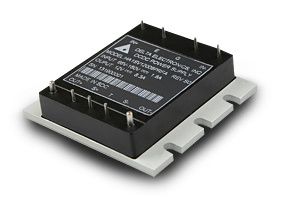 Delta’s range of isolated DC/DC power converters are specifically designed for use in the transportation industry for all industrial electric-powered non-automotive transportation and various railway applications such as drive controls, power controls, safety monitors and communications systems under the European Standard EN 50155. With ultra wide input ranges for optimal performance in extensive transportation market. Utilising creative design technology and optimisation of component placement, these converters possess outstanding electrical and thermal performance as well as high reliability under extremely harsh operating conditions.